Dean & Deluca, a multi-channel retailer in gourmet and specialty foods also houses a cafe concept specialising in a wide selection of gourmet fare that have excite tastebuds with an international array of artisanal products and offerings at three of its outlets islandwide. The flagship store at Orchard Central opened its doors to the public in June 2012, followed by its second outlet at Far East Square, and third outlet at HillV2, nestled in a quaint neighbourhood at Upper Bukit Timah. 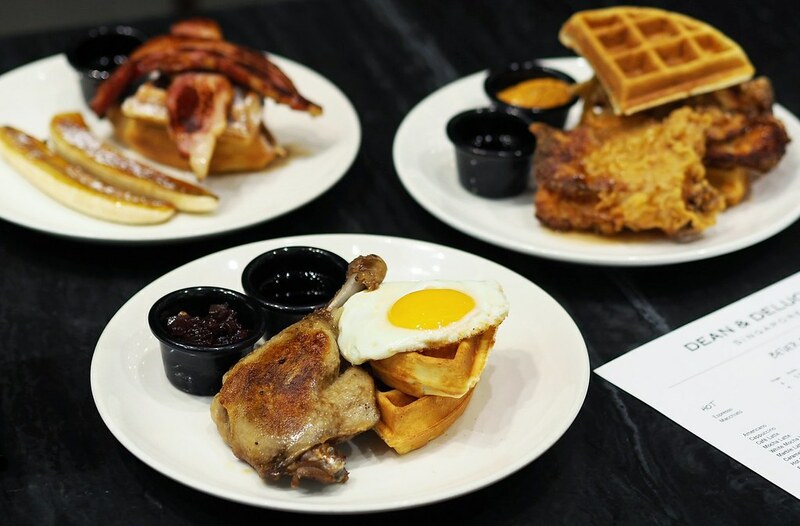 Savour in a waffle feast this March with three specially curated savoury-sweet waffle dishes, which is available for a limited time period only from 1 March to 31 March. 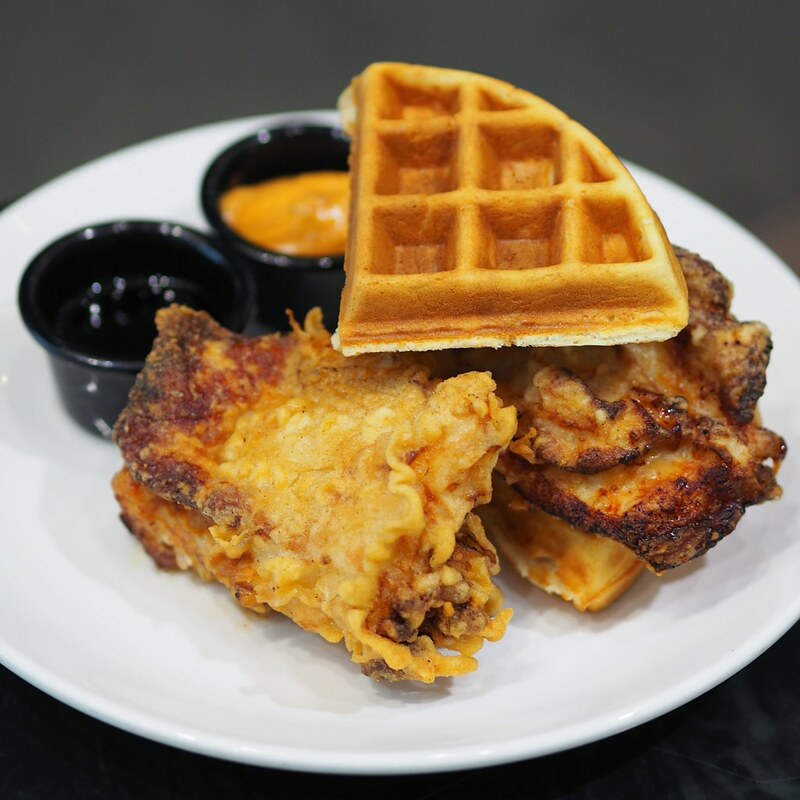 The Fried Chicken & Waffle with Smoky Cheese Sauce ($18) features 2 large pieces of fried chicken with waffle, and a side of cheese sauce and maple syrup. The fried chicken boasts an extremely crispy skin and succulent meat, which exudes out a lush juiciness with every bite. The waffle leans towards the denser, stodgier side, lacking in the crispiness and fluffiness of the usual suspects. 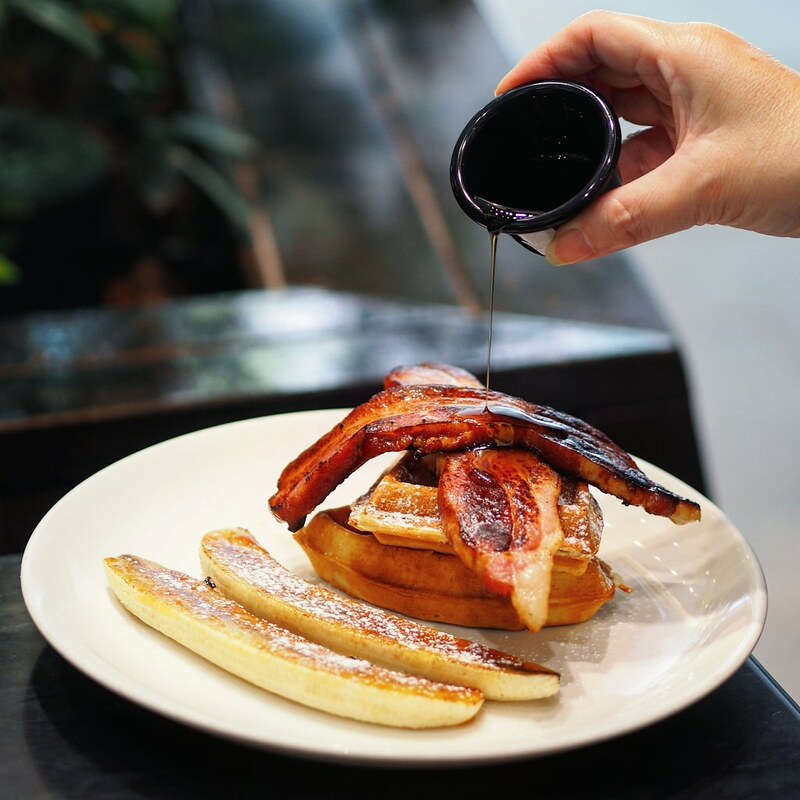 While rather bland on its own, drizzle the maple syrup on the waffle for a sweeter rendition, which pairs well with the savoury elements on the plate. 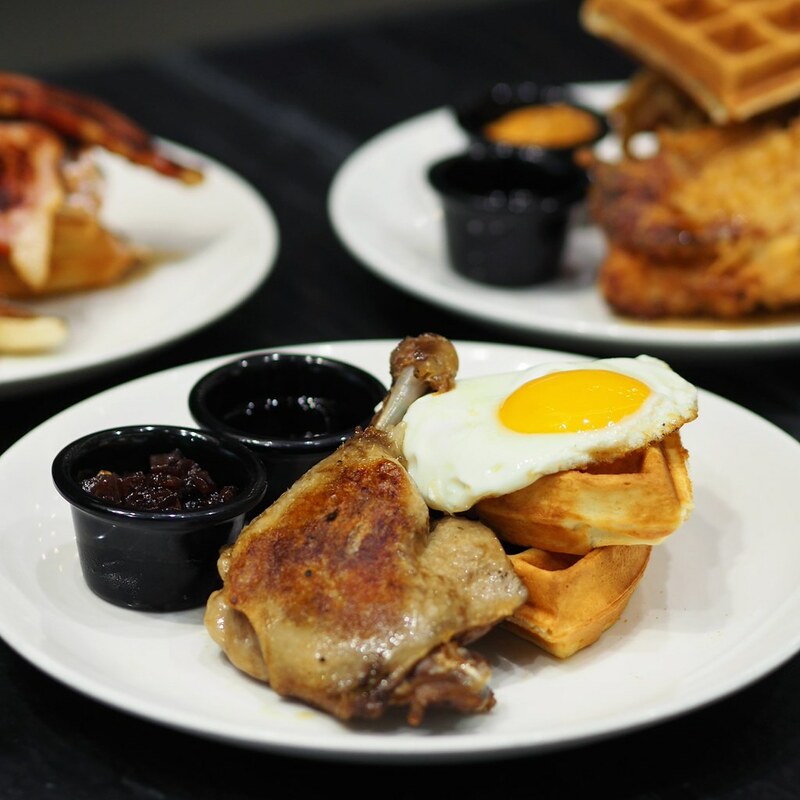 The Duck Confit Waffle with Onion-Raisins Marmalade & Sunny Side Up ($19) features a duck confit with waffles and sunny side up. The duck meat is soft and tender with a thin crispy skin. While the waffle fares similarly as the one from the Fried Chicken & Waffle and requires an additional drizzle of the maple syrup for a richer taste, the homemade caramelised onions and raisins marmalade contributes a subtle tangy-sweet flavour to the dish. The end result is great marriage of sweet and savouriness on a plate. Relive your childhood of peanut butter jelly decadence with the Peanut Butter Jelly Waffle with Thick Cut Bacon & Banana ($18). The waffle is slathered with generous amounts of peanut butter and jelly which adds an earthy nutty tone to the waffle with a subtle tanginess. The maple syrup and caramelised banana play out well in sweetening the experience. The huge slab of thick cut bacon proves to be the highlight of the dish with its balanced ratio of firmer meats and softer fats. Well seasoned and juicy, the bacon complemented the rest of the elements well, bringing satisfaction with every bite. Note: The Sweet-savoury waffle series is only available from 1 March to 31 March 2018, at all DEAN & DELUCA outlets.